Etsy sellers were unable to manage their Promoted Listing ads on Monday due to an apparent glitch, leaving some paying for clicks they couldn't dial back. There were several threads where sellers explained the problems they were having raising or lowering their bids or adjusting their daily budgets. In one thread, a seller explained, "I can't increase/decrease my daily budget as I normally would when you click the "manage" tab. Anyone else having this issue? I know there have been bugs with promoted listings today so maybe this is one as well?" A moderator replied, "We have this in with our engineering team to fix." In another thread, a seller wrote, "I'm having this problem too. This means that I can't change the bids on my items. I have one item at a higher bid right now that I need to knock back down to a lower bid... but the list of items I'm promoted is not there at all, so I can't change it.... Racking up unwanted clicks :-("
A moderator responded, "Thanks for the reports! Our team is on the case!" One seller thought the ads on their account were set to "off" but discovered the ads were turned on, resulting in a higher cost-per-click than expected. In this thread (started on Monday) a seller provided the following update on Tuesday: "They're back again today! Thank goodness." There was no update from moderators on the threads as of Tuesday evening. 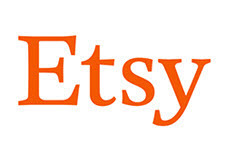 We've asked Etsy for more information about the glitch and what the company will do for sellers who were impacted negatively. What do you think Etsy should do to make things right for sellers who were unable to adjust their ad campaigns? I had a few views on an item yesterday and it shows ZERO views in the Stats. Now, stats are redundantly displayed in the dashboard AND in the stats. MAKE OVER ! ! ! Paying per click and not for actual sales is like blowing smoke, you pollute the entire room with a foul odor. have tried to turn off promoted listing a few times now. they show off , but the thieves are still grabbing the daily fee. promoted listings are off , but still grabbing daily fees. no help from the help. how criminal can you get ?